One of my most favorite Christmas gifts that I received while growing up was a digital drawing pad that hooked up to our t.v. so I could draw and paint on the big screen. It was my before the real photoshop days and boy, did I love that thing. 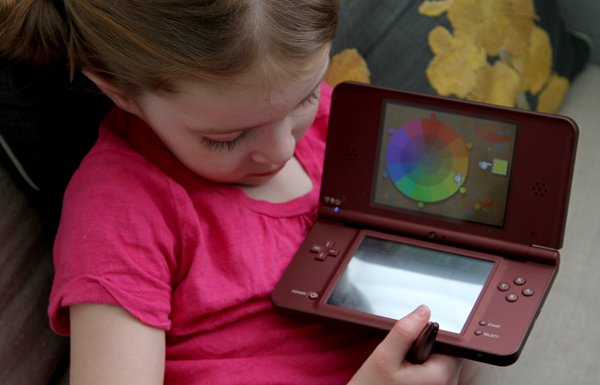 Fast forward to today, and I was happy to learn about and receive from Nintendo something on the same note called Art Academy for the Nintendo DS. This program is right up our alley because it is all about art. It teaches you how to draw and improve drawing technique with ten easy step-by-step lessons and instructions. Although it is definitely not only just for kids, my four-year-old daughter is picking up some mad drawing skills. Her favorite thing to do on Art Academy is to mix her own colors and free paint, but she also likes to show me her what she calls, "fancy new tricks" she has learned from the lessons and I'm pretty amazed. I sit with her and go through the lessons, (because lots of reading is involved) and it is a blast to watch her mind process and get excited about art. She also brings up things like, "I know how to shade now, mom." 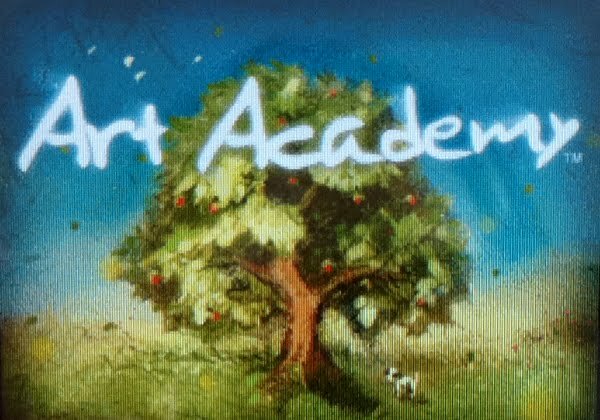 I am all for 'learning' games that make you develop a skill in a fun way, and Art Academy fits the bill. that sounds like an AWESOME program. i wish i had a ds now!